The Human Rights Center “Viasna” publishes the official text of a decision taken by the United Nations Human Rights Committee in the case of its leader and vice-president of the International Federation for Human Rights, Ales Bialiatski. 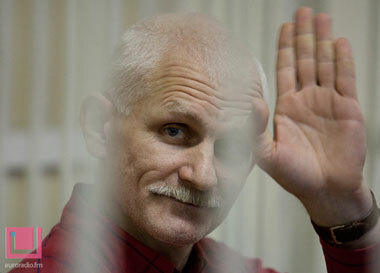 A well-known human rights activist Ales Bialiatski has been released. He told his wife Natalya Pinchuk about that over the phone. She reported about that to charter97.org website. Paris-Geneva, April 19, 2012. On April 2, 2012, the Observatory for the Protection of Human Rights Defenders, a joint programme of the International Federation for Human Rights (FIDH) and the World Organisation Against Torture (OMCT), submitted the case of Mr. Ales Bialiatski to the United Nations (UN) Working group on Arbitrary Detention (WGAD). Mr. Ales Bialiatski is the Vice President of FIDH and the President of the Human Rights Centre “Viasna”, in Belarus. On 5 March the discussion of the yearly report of the Special Rapporteur on the situation of human rights defenders took place at the UN Human Rights Council. The imprisoned leader of the Human Rights Center “Viasna” Ales Bialiatski has been convoyed to penal colony No. 2 in the town of Babruisk, Mahiliou region, to serve his 4.5-year term for alleged tax evasion, the human rights defender’s wife says. Minsk City Court has upheld the 4.5-year verdict to Viasna leader Ales Bialiatski, dismissing the cassational appeal lodged by lawyer Dzmitry Layeuski. 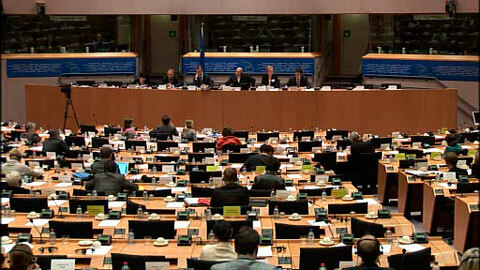 The delegation of the International Federation for Human Rights took part in the European Parliament’s Foreign Affairs Committee meeting to discuss the situation in Belarus held in Brussels on 12 January. 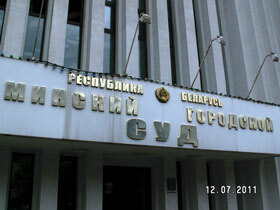 Bear in mind that on 24 November Siarhei Bandarenka, Judge of the Pershamaiski District Court of Minsk, had sentenced Ales Bialiatski, vice-President of the International Federation of Human Rights (FIDH) and head of the Human Rights Center “Viasna”, to 4.5 years in a high-security prison with confiscation of assents for alleged large-scale tax evasion. American lawyers released an expert declaration in the case of Belarusian human rights activist Ales Bialiatski. Ales Bialiatski was given 10 minutes to pay last tribute to his father in a morgue in Minsk this morning. Will Bialiatsky be allowed to bury his father? A letter was received from human rights defender Ales Bialiatski, sentenced to 4.5 years in a high-security colony. He wrote it on 30 November, after the announcement of the verdict, but before his transfer to the Zhodzina prison. The sentencing of leading Belarusian human rights defender, Ales Bialiatski to 4.5 years in prison last week is disappointing and we are concerned that it will have a negative impact on the ability of Belarusian civil society to operate freely and without fear. 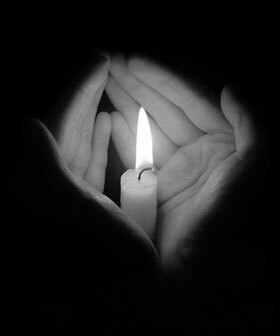 The Human Rights Organisation Libereco – Partnership for Human Rights condemns the jail sentence of 4.5 years that was imposed on the Belarusian human rights activist Ales Bialiatski on November 24th 2011. Together with Belarusian and international human rights organisations Libereco demands the immediate and unconditional release of Ales Bialiatski, who has been detained and sentenced for political reasons only. Ales Bialiatski, the head of the well-known human rights organization Viasna in Belarus this morning sentenced to four and a half years in prison and confiscation of property for tax evasion. The Belarusian civil society received a severe blow today. Ales Bialiatski, Chariman of the human rights organisation Viasna, was sentenced for tax evasion to four and a half years in prison and confiscation of property. Judge Siarhei Bandarenka of Minsk Pershamaiski District Court has resumed the hearing of the criminal case of Viasna leader Ales Bialiatski. November 16, 2011 in Minsk saw the fifth day of the hearing of Human Rights Center Viasna Head and Vice-president of FIDH Ales Bialiatski.